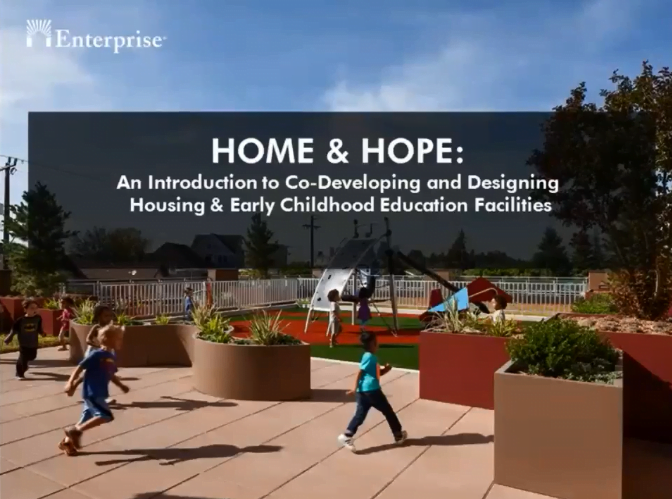 Theresa Jordan, Director of Children’s Facilities Finance of CEDAC’s affiliate Children’s Investment Fund, was pleased to be a panelist for the Enterprise Community Partners webinar in February entitled “Designing Home & Hope: Pairing Housing and Early Childhood Education Facilities — Case Studies from Boston and Seattle.” Enterprise published the Home & Hope report in 2018 to document the development process and considerations for co-locating housing and early education and care. Over 70 participants from across the country joined the webinar. Check out the recorded webinar online.